WELCOME TO MY MONEY MISSION ONLINE: HAVE A WONDERFUL LABOR DAY!! HAVE A WONDERFUL LABOR DAY!! Palmolive & Speed Stick Coupons Reset + More! Sign up for Aveda Bday! Join Aveda's Birthday Program today and get a free, full-size product on your birthday! Who doesn't love FREE!! 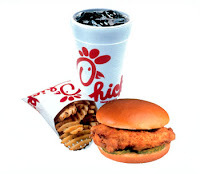 Reminder: FREE Chick-Fil-A Sandwich Today! Don't forget to head on over to Chick-Fil-A and snag a FREE Original Chick-Fil-A sandwich today, 9/7 (Labor Day)! All customers have to do is wear an article of clothing with any sports team logo— little league, college or professional— to any Chick-Fil-A from 10:30 a.m. to close. 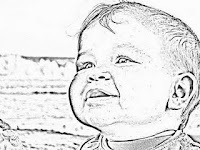 FREE Coloring Book Pages w/ Your Photos! What a fun freebie! Crayola.com is offering up FREE coloring book pages with actual photos you upload! Cool, huh? Just go on over here and click on the "enter code" link, then you'll need to login or register. Once you do so, type in code PR24QCHT. Now you can start uploading your photos. You can upload and save five photos at a time, but after printing, you can replace any of the saved files with a new uploaded image. Keep in mind, though, the code will only give you 24 hours of access! Have fun! This is a great freebie that my kiddos are actually enjoying too! I would check out the Aveda, thanks for sharing A.Marie. Have a great week ahead.. Came back to tell you I joined Aveda hehehe, thanks once again..
Hi Tammy! I e-mailed you!